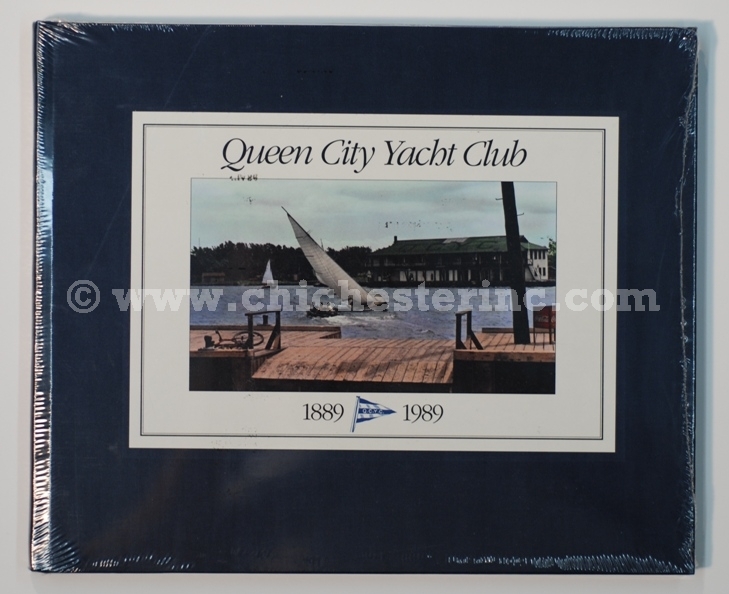 We have three copies of the original Queen City Yacht Club Centennial Book from 1989 in stock. All three copies are still in their original plastic shrink wrap. These are stored in our warehouse in Niagara Falls, New York. This book was written by Wayne Lilley. ISBN 1-895161-01-0. Copyright 1991. These books make great Christmas presents for new members at QCYC. No refunds if opened or not in the original condition. Size is 11" wide by 9" high and about 1/2" thick. The book is 112-pages long and is in full-color. It was researched, written, designed, and published by QCYC members. Click HERE for Used Books.